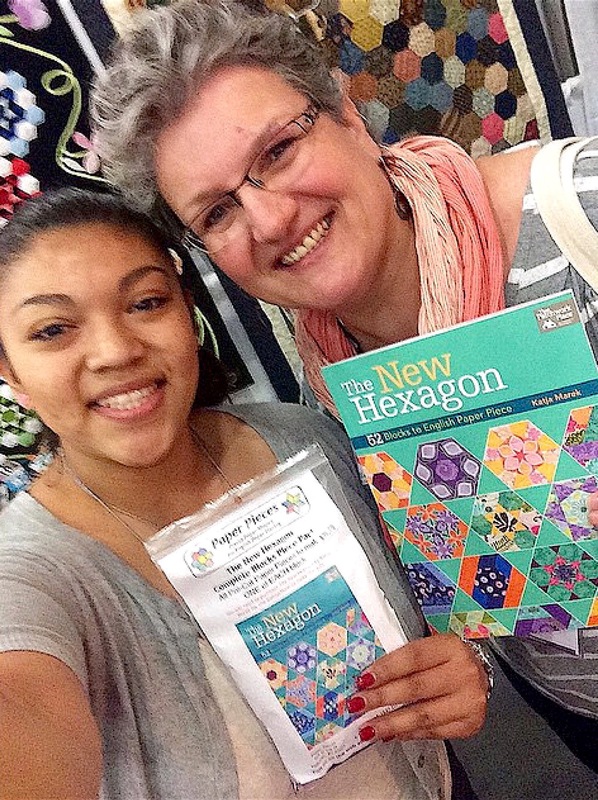 While I was in Houston, last October, for Quilt Market, I met Katja Marek! I am a HUGE fan of Paper Pieces and their products, so naturally, I visited their booth during the show and that’s where I met Katja! 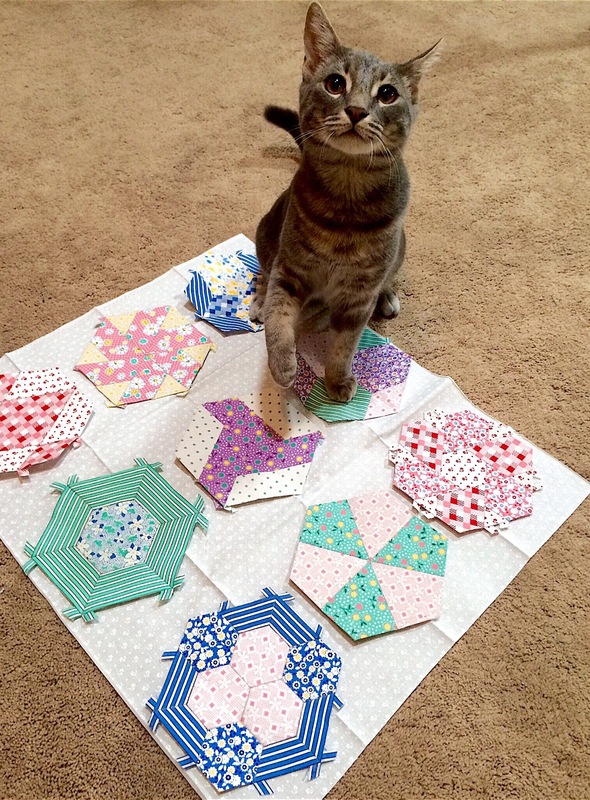 I have really caught the paper piecing bug, it’s so addicting! 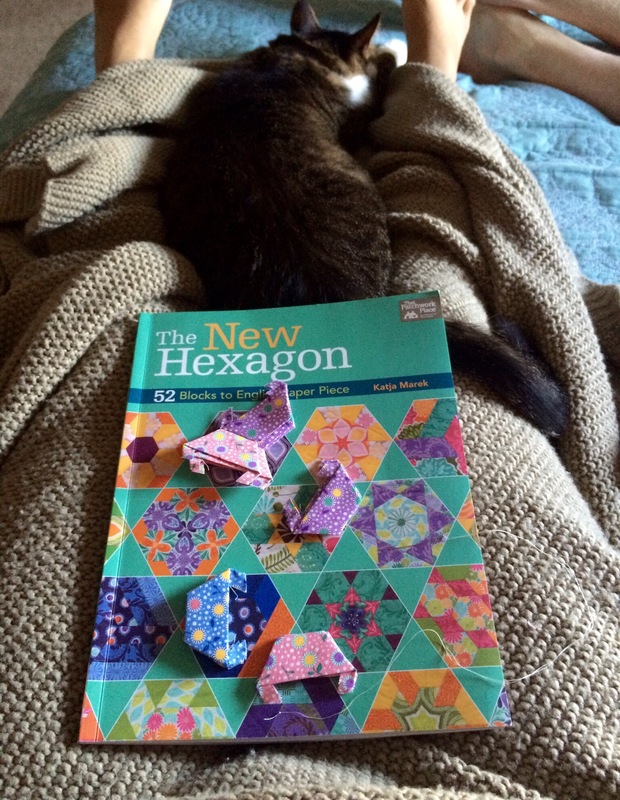 After chatting with Katja about her new book, I bought her new book and the kit of Paper Pieces for her cover quilt! 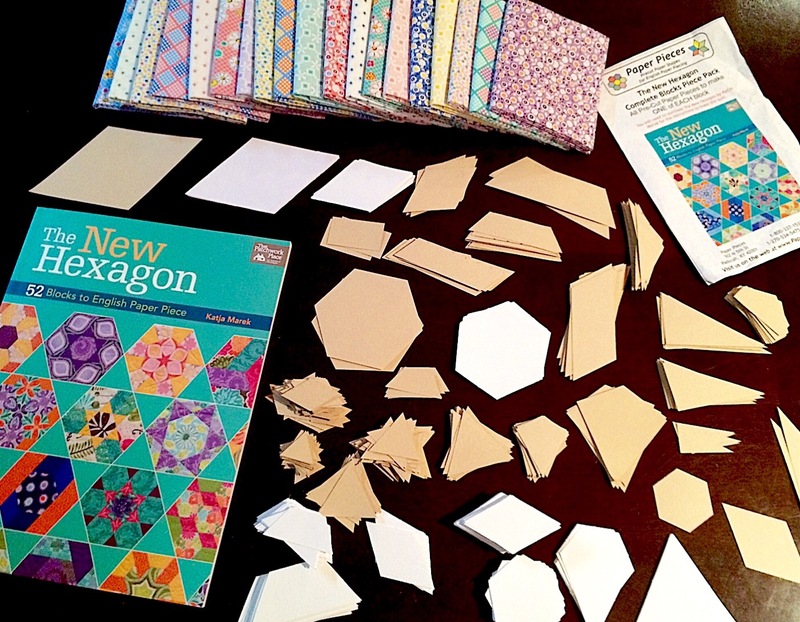 Paper Pieces has so many kits and packets of paper pieces, I left with NOT only Katja’s new book and paper pieces, but I also went home with the “Millefiore Quilts” book, paper pieces and acrylic templates! 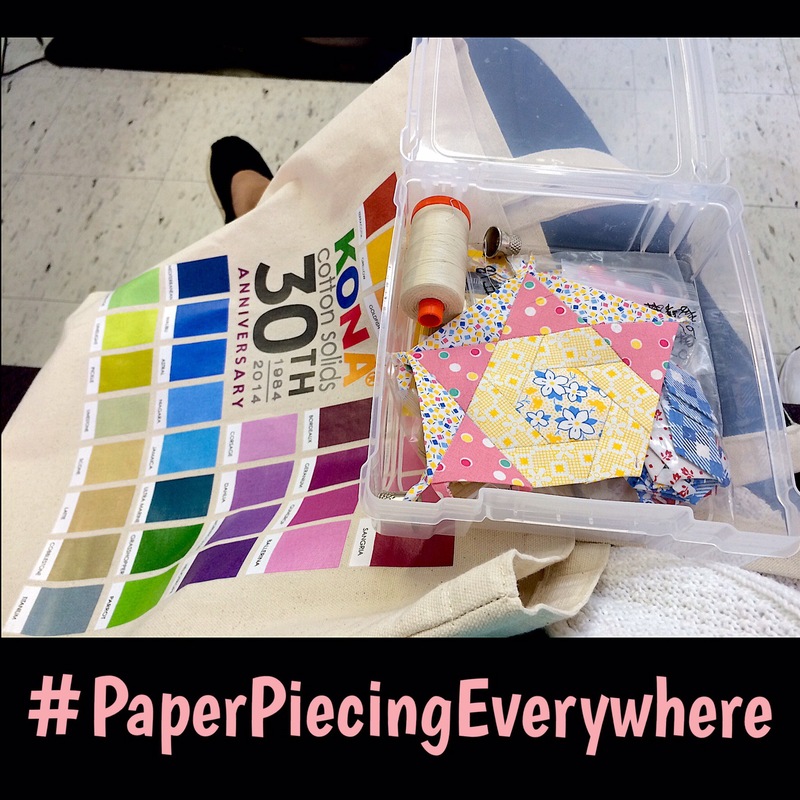 You can never have too many paper piecing projects, can you? At Quilt Market/ Sample Spree, I also bought two Fat Quarter bundles of Darlene’s (Zimmerman) new fabric lines “Bunny Tales” and “Penny and Friends”. 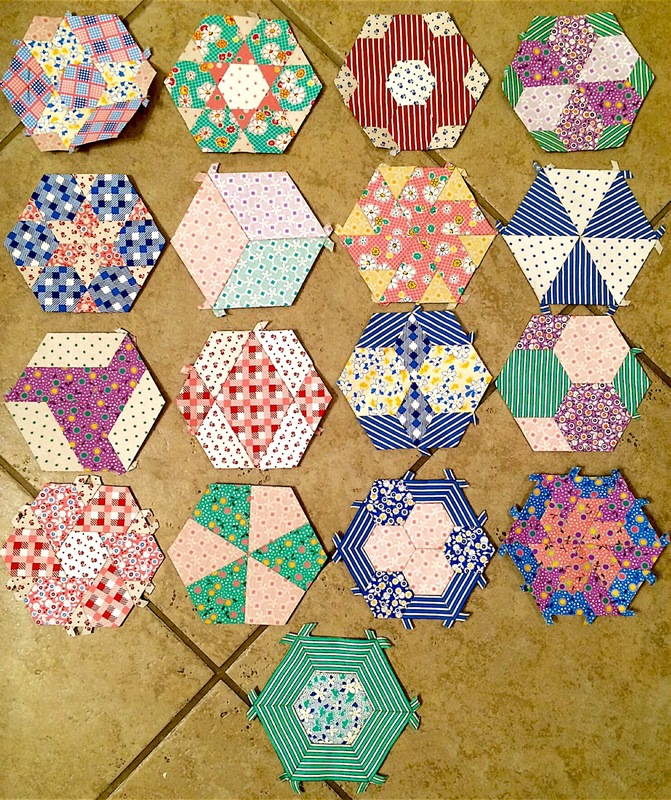 When I got home to play with all of my goodies, it was a no brainer to make my “New Hexagon” quilt using my two Darlene Bundles! 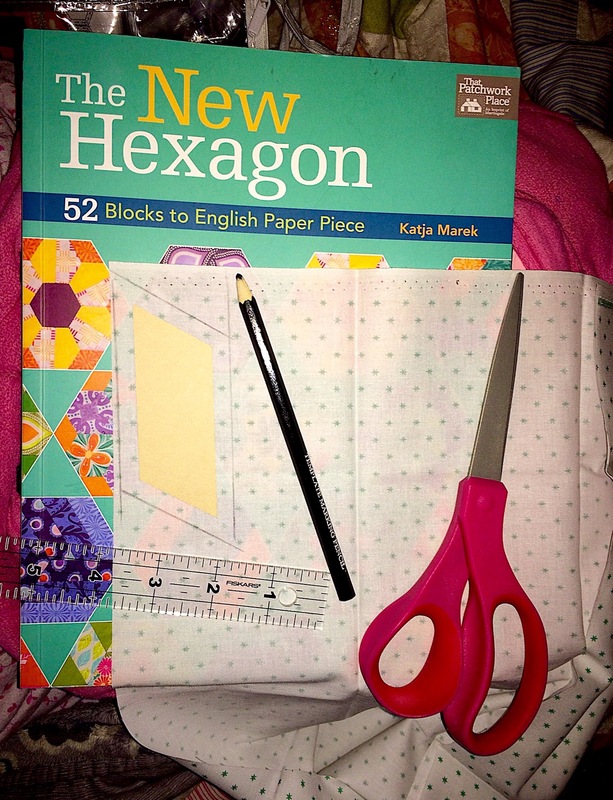 The book has 52 different hexagon variations, all resulting in 52 unique 3″ hexagons! 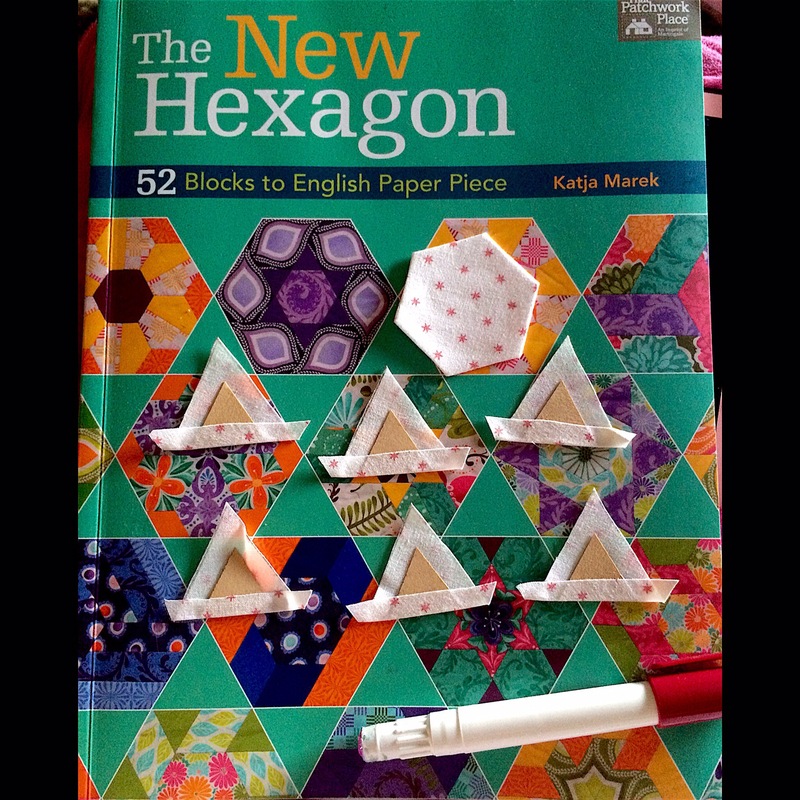 Katja, when writing this book, was doing these hexagon blocks as a “Block of the Week” program at her quilt shoppe in Canada. The blocks are named after the women who participated in Katja’s B.O.W. and helped her throughout writing this book. 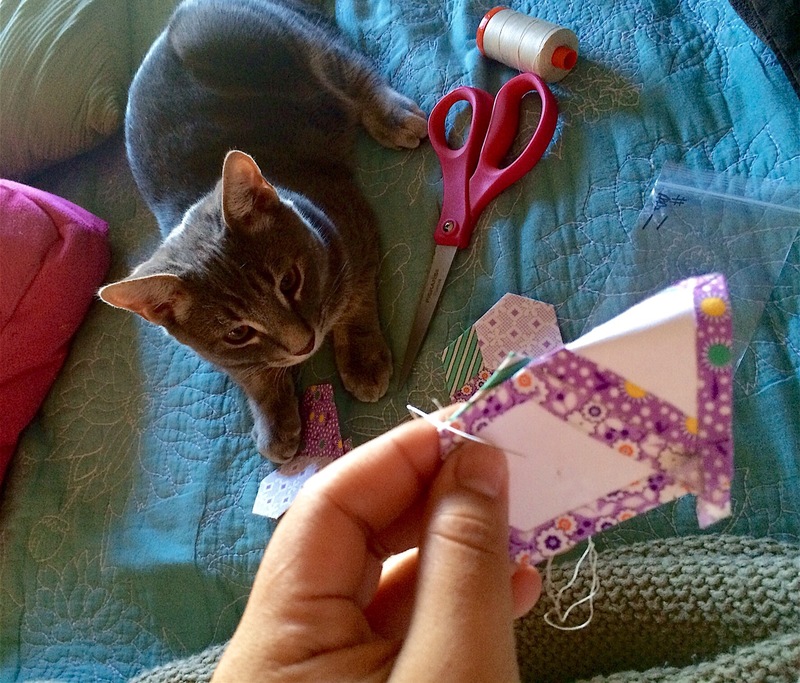 I think it’s just wonderful how quilting has allowed us to come together and created beautiful things together! To get more information on Katja’s shop, visit her page here. Here are a few pictures of my progress on this project. I will share an update soon!